The Settlement Agreement, other than the legal fees provision, is approved. The $75 million legal fees provision is excessive, unreasonable and is not approved. Class counsel in Brown have agreed to de-link the legal fees provision from the rest of the Settlement Agreement. The Court should be advised when a revised section 11.01 has been agreed to by the parties. The Sixties Scoop has been nationally acknowledged as a “dark and painful chapter in Canada’s history”, prompting twenty-three actions across the country. The Ontario action, Brown v Canada, was the most advanced. After nine years of litigation, it was Brown that established Canada’s liability in tort to the Sixties Scoop survivors in Ontario. Canada agreed to settle Brown but only if the other actions were included in one nation-wide settlement. Justice Michel Shore of the Federal Court mediated the national settlement. The parties reached an agreement in principle on August 30, 2017. The national settlement agreement (“the Settlement Agreement”) was formally executed on November 30, 2017. As part of the national settlement, the other actions were consolidated into an omnibus Federal Court action, referred to as the Riddle action. On May 11, 2018 Justice Shore approved the Settlement Agreement for the purposes of the Riddle action as he was satisfied that it was fair, reasonable and in the best interests of the class members. The Settlement Agreement is before this Court for a similar approval in the context of the Brown action. It is clear from the language in the Agreement that the approval of both courts is required and if any part of the Settlement Agreement is declined, then the Agreement will not take effect and Justice Shore’s approval order in Riddle would be rendered null and void. This Court had two concerns, however, after reviewing the Settlement Agreement. The first concern was the reasonableness of the $25,000 to $50,000 payment as damages for the loss of one’s Indigenous cultural identity given the harm that was sustained by the class members. The Court was satisfied after reviewing all the evidence and potential pitfalls given the risks of further litigation, that the payment, although modest for the loss of one’s Indigenous cultural identity, was ultimately fair, reasonable and should be approved. The second concern involved the $75 million payment to class counsel for legal fees. The Court viewed the $75 million for legal fees as excessive, unreasonable and was not approved. The focus is the global payment of $75 million in legal fees and not the internal divisions agreed to by class counsel. The two most important factors in determining the reasonableness of legal fees are risk incurred and results achieved. It is the risk incurred that “most justifies” a premium in class proceedings and is primarily the risk of non-payment. In a case where a class action has been settled with a minimal investment of time or effort, the risk of non-payment causing “personal consequences” to class counsel is relatively insignificant. In a case where the settlement has been achieved after many years of effort with an enormous investment of time and money, the risk of non-payment causing “personal consequences” to class counsel can be significant. Windfalls should be avoided because class action litigation is not a lottery and the CPA was not enacted to make lawyers wealthy. The percentage of the fund approach that bears no relation to the significance of the risk incurred should not be used in a mega-fund settlement. In Cannon, the Court embraced the percentage of the fund approach because almost all of the settlements were under $40 million. The Cannon percentage of the fund approach remains viable but should be limited to settlement amounts that are common-place, that is, under $50 million. Cannon should never be used in the mega-fund case where the settlement or judgment is more than $100 million. If there is evidence before the Court that the requested legal fees are excessive, the class action judge should examine the risk incurred to help decide whether the amount being requested by class counsel is indeed fair and reasonable. The risk incurred by class counsel in Brown was, in a word, enormous. Bluntly put, it was as close a case of class counsel “betting the firm” as had been seen. The nation-wide settlement with Canada for some 23 actions, was fuelled in large part by what was achieved in the Brown action. It was therefore beyond dispute for the Court that class counsel in Brown deserve a significant premium in the calculation of their legal fees. Compared to Brown, the risks incurred by class counsel in Riddle are at the opposite end of the spectrum and were not significant. The evidence strongly suggested opportunistic filings and that the risks incurred by the Riddle class counsel in their respective actions did not justify a Cannon-type percentage of the fund approach. Because the $75 million legal fees provision is not approved, the rest of the Settlement Agreement cannot take effect unless the legal fees provision is de-linked from the other settlement provisions that have been approved. Class counsel in Brown have agreed to de-link the $75 million fees provision from the rest of the Settlement Agreement in the interests of their class members. Class counsel in Riddle have not yet agreed to any such de-linking. The Settlement Agreement has gone back to the negotiating table with the focus being the $75 million legal fees provision, at least for class counsel in Brown. The Court commented that it would be beyond tragic if the Sixties Scoop Settlement Agreement was derailed or delayed because of an unseemly squabble among class counsel over legal fees. This action is certified as a class proceeding. The Settlement Agreement has been approved with the modification that there is dissemination of its information to every part of Canada to ensure that every eligible person receives the payment allotted for such. The precedents in Brown v Canada are historical and exemplary in the understanding of cultural identity as essential to the human personality. By an order dated January 4, 2018, Riddle, White and Charlie Actions were consolidated. The Parties agree that the Settlement per approval in Brown v Canada in the Ontario Superior Court of Justice and in the action constituted in the Federal Court be consistent with the terms of the Settlement Agreement. Twenty-three class proceedings at different stages were at one time across Canada including Ontario, Manitoba, Saskatchewan, Albert and British Columbia in respect of the Sixties Scoop. These actions sought “damages for the harm that was caused… by the alleged breaches of fiduciary and common law duty on the part of the Federal Crown” (Brown v Canada (AG), 2013 ONSC 5637). On February 1, 2017, the Federal Government announced its intention to initiate mediation in regards to the Sixties Scoop litigation across the country. During the mediation, a wide, all-encompassing range of comprehensive topics were discussed and negotiated. The essential terms of the Settlement are as follows: (1) a Foundation with a mission to enable change and reconciliation as well as access to healing, wellness, commemoration and education; (2) Eligible Class Members; (3) The Compensation Scheme: Canada will not be required to pay more than $750,000,000.00. Depending on the number of Approved Claimants, each Eligible Class Member who submits a claim shall receive a compensation of a maximum $50,000; (4) The Claims Process: is intended to be simple, paper-based, cost effective, user-friendly and to minimize the burden on the applicant by a one page form; (5) Releases: The class members agree to release Canada from any and all claims that have been pleaded or could have been pleaded with respect to their placement in foster care, Crown wardship or permanent wardship, and/or adoption; (6) Opt-outs: Should 2,000 class members opt out, Canada, in its sole discretion, may decide not to proceed with the Settlement Agreement and shall have no further obligations in this regard; (7) Legal Fees: the payment of Class Counsel from a separate Fund. Class counsel further agrees to perform any additional work required on behalf of class members at no additional charge; (8) Settlement Approval: The Parties agree that the Settlement per approval in Brown v Canada in the Ontario Superior Court of Justice and in the action constituted in the Federal Court be consistent with the terms of the Settlement Agreement. There was some objection to the quantum of legal fees. The Court agreed that the fees sought are fair and reasonable, mainly because class counsel will remain available to the claimants following the approval of the Settlement and because the requested fees are less than 10% of the overall global payment. This litigation is “historically unique” and was “inherently fraught with risk”. The Court takes into account that the claims in this class action refer to a loss of cultural identity. These cases undoubtedly pose a significant litigation risk to be assumed by Class counsel (Manuge v Canada, 2014 FC 341). The legal fees are intended to “encourage counsel to take on difficult and risky class action litigation” (Abdulrahim v Air France, 2011 ONSC 512). The parties’ commitment in the inauguration of the Settlement, is one of the reasons the result achieved was successful and were able to avoid delays and expensive costs associated with individual hearings by which to compensate class members. It was undeniable that “bringing closure is critical” for the survivors of the Sixties Scoop. Without a settlement agreement, the risks include: (a) national certification order may not be granted; (b) a fiduciary duty may be found not to be owed, as in Ontario; (c) liability might not be established; (d) statutory limitation periods could bar many or all of the class’ claims; (e) an aggregate award of damages could be denied by the court forcing class members through lengthy and protracted individual assessment; (f) proven damages could be similar to or far less than the settlement amounts; (g) ordering reconciliation, commemorative or healing initiatives, of the nature the Foundation is tasked with, would have been outside the jurisdiction or purview of any court to order. The Court viewed the Settlement Agreement as fair, reasonable and in the best interests of those affected by it. Motion granted for summary judgment of the certified common issue of the Sixties Scoop class action. Liability of the federal government was found in favour of the class members. The Court, and both parties, agree that the common issue should be summarily decided. Brown v. Canada (AG), 2010 ONSC 3095 was certified as a class proceeding. The certified common issue, which focused on the liability of Canada, was answered in favour of the class members. The class action has proceeded to the damages stage. The Sixties Scoop happened and great harm was done. There is no dispute about the fact that thousands of Aboriginal children living on reserves in Ontario were apprehended and removed from their families by provincial child welfare authorities over the course of the class period and were placed in non-Aboriginal foster homes or adopted by non-Aboriginal parents. It was Patrick Johnson, the author of a 1983 research study on “Native Children and the Child Welfare System” that coined the name “Sixties Scoop.” He took this phrase from the words of a British Columbia child-protection worker who noted that provincial social workers “would literally scoop children from reserves on the slightest pretext.” There is uncontroverted evidence of the impact on the removed Aboriginal children. The loss of their Aboriginal identity left the children fundamentally disoriented, with a reduced ability to lead healthy and fulfilling lives. The issue before the Court was whether Canada can be found liable in law for the class members’ loss of Aboriginal identity after they were placed in non-Aboriginal foster and adoptive homes. Canada entered into the Canada-Ontario Welfare Services Agreement (“the 1965 Agreement”) in December 1, 1965 to December 31, 1984 (19 years), and is at the core of the common issue. The focus of the common issue is the action or inaction of Canada (not Ontario) and only on the time-period after the Aboriginal children had been placed in non-Aboriginal foster or adoptive homes. Therefore, the common issue asks whether Canada had and breached any fiduciary or common law duties to take reasonable steps in the post-placement period to prevent the class members’ loss of Aboriginal identity. The class definition includes the estimated 16,000 Aboriginal children who were removed from reserves in Ontario and placed in non-Aboriginal foster homes or adoptive homes. The stated goal of the 1965 Agreement was to “make available to the Indians in the province the full range of provincial welfare programs” and also reflected Canada’s concern that the extension of the provincial laws would respect and accommodate the special culture and traditions of the First Nations peoples living on the reserves, including their children. Ontario’s undertaking to extend the provincial welfare programs as set out in section 2(1) was made “subject to (2).” Sub-section 2(2) of the Agreement said “[n]o provincial welfare program shall be extended to any Indian Band in the Province unless that Band has been consulted by Canada or jointly by Canada and by Ontario and has signified its concurrence.” This section was intended to include explanations, discussions and accommodations. It was meant to be a genuinely meaningful provision. 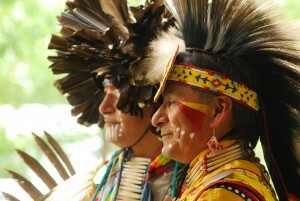 No Indian Bands were ever consulted before provincial child welfare services were extended to the reserves. The Court found that by failing to consult the Indian Bands, Canada breached s 2(2) of the 1965 Agreement. Nothing in s 2(2) explicitly obliged Canada to actually undertake the consultations referred, however, the undertaking to do so can be implied from the language and context of the provision. A contractual term can be implied if it is a contractual term that must have been intended by the parties and is necessary or obvious in light of the particular circumstances of the agreement. If Canada had honoured its obligation to consult the Indian Bands under s 2(2) of the 1965 Agreement, the information about the child’s Aboriginal identity and culture and the available federal benefits would have been provided years sooner. Canada failed to take reasonable steps to prevent the loss of Aboriginal identity in the post-placement period by failing, at a minimum, to provide to both foster and adoptive parents the kind of information that was finally provided in 1980 and thereafter. The Court found on the applicable law that Canada’s liability cannot be established under fiduciary law but can be established under the common law. In the Court’s view, s 2(2) and the obligation to consult created a common law duty of care and provided a basis in tort for the class members’ claims. The common law duty of care arose out of the fact that the 1965 Agreement is analogous to a third-party beneficiary agreement. Canada undertook the obligation to consult in order to benefit Indian Bands (and by extension, Indians living on the reserves, including children). The Indian Bands are not parties to the Agreement, but a tort duty can be imposed on Canada as a contracting party in these circumstances. The Federal Government has a long-standing obligation to provide health services to First Nations. The Applicants pension plans fall under federal jurisdiction. 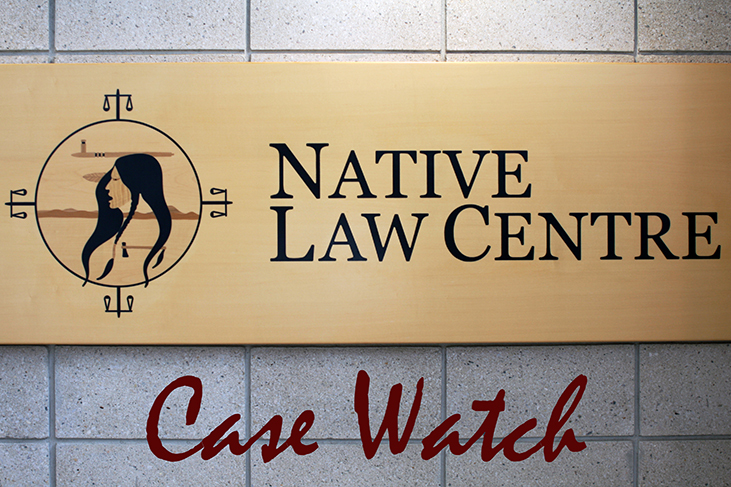 In NITHA, the Federal Court considered whether the pension plans of the applicants, Northern Inter-Tribal Health Authority Inc. (NITHA) and Peter Ballantyne Cree Nation Health Services Inc. (PBCNHS), fell under federal or provincial jurisdiction. The Office of the Superintendent of Financial Institutions of Canada (OSFI), argued that the pension plans fall under provincial jurisdiction, while NITHA and PBCNHS argue that they fall under federal jurisdiction. Applying the two-part test articulated by the Supreme Court in NIL/TU, O, the Court declared that the pension plans in question fall under federal jurisdiction. The Court concluded that a correctness standard of review was to be applied on the grounds that the dispute engaged a question of a constitutional nature. NIL/TU, O and Nation Innu Matemekush-Lac John supports that constitutional issues regarding the division of powers are to be decided on a correctness standard. The applicable test identified as outlined by Abella J in NIL/TU, O, contains two parts. The first part is a functional test of whether the entity is engaged in a federal undertaking. This requires an inquiry into the nature, habitual activities and daily operations of the entity in question. The second part applies only if the first part is inconclusive and it requires consideration of whether provincial regulation would impair the core federal power. The Court also reiterated Abella J’s citation to Four B Manufacturing Ltd, which indicates that federal government funding does not on its own convert the operation into a federal activity. The functional test calls for an inquiry into the nature, habitual activities and daily operations of the entity in question to determine whether it constitutes a federal undertaking. In examining the Supreme Court’s application of the functional test in NIL/TU, O, the Court highlighted Abella J’s position that the emphasis be placed on the underlying reason for the performance of the activities. The Court also echoed McLachlin CJC and Fish J’s concern in Four B Manufacturing Ltd that the test must be applied cautiously to avoid simply conflating the nature of activities with the habitual and daily operations involved in carrying out an activity. The Court concluded that OSFI made an error by failing to consider the underlying reason for the activities. In particular, the fact that OSFI narrowly construed the purpose of the agreements governing the relationship, by referring to some recitals and excluding others which make reference to constitutional provisions, the special relationship subsisting between First Nations People and the Crown as well as important historical documents, such as Treaties 5, 6, 8 and 10, which include promises of healthcare. These treaties make it clear that the Federal Government undertook to provide health services to Indians on Indian Reserves. On this basis, the Court granted the application for certiorari to quash OSFI’s decision. These arguments, along with a further examination of the historical treaty record, were also used to support a declaration that the provision of health services to the Indians is a century long federal undertaking made, in part, in keeping with the treaty relationship between the Applicants and the Federal Government. A woman who acquired Indian status within the meaning of the Indian Act through marriage does not lose registered status as a result of divorce. Powley does not require courts to apply the Powley factors each time a person purporting to be Indian within the meaning of the Indian Act comes before the court. In Rosemary Lamb, the Queen’s Bench of New Brunswick considered whether Ms. Lamb, a Caucasian woman who had acquired Indian status within the meaning of the Indian Act through marriage to Mr. Augustine, an Aboriginal man, continued to retain such status following her divorce. Prior to their marriage Ms. Lamb had two children with Mr. Augustine. The two were subsequently married in 1984 and divorced shortly thereafter. In 2017, Ms. Lamb was convicted for hunting moose out of season. Ms. Lamb contended that she continues to have hunting rights that flow from her Indian status with the Burnt Church First Nation. Overturning the trial decision, the Court held that her Indian status had been obtained in 1979 when she married Mr. Augustine, and continues even after divorce. The trial court held that the Powley criteria must be applied to the evidence to determine the Aboriginal identity at law. The criteria includes Aboriginal ancestry, cultural awareness and community acceptance. Ms. Lamb, a self-represented litigant, did not provide any meaningful evidence of Aboriginal ancestry nor was she meaningfully connected to the Burnt Church First Nation community. Since she could not prove Aboriginal ancestry or cultural awareness, the trial court determined that Ms. Lamb was not an “Indian” within the meaning of the Indian Act. In this appeal, however, the Court held that the trial court had made an error of law resulting from an incomplete legislative history. After reviewing the history of statutes governing Aboriginal identity at law (omitted here), the Court observed that as the wife of a person entitled to be registered, pursuant to s.11(1)(f) of the Indian Act, Ms. Lamb continues to be registered as an “Indian” within the meaning of the Indian Act even after her divorce. The general principle in Bernard asserts that Aboriginal rights are to be governed by the existence of a historic and present community and may only be governed by virtue of an individual’s ancestrally-based membership in the present community. It was also noted that the Bernard case allows for Aboriginal rights to be provided where an ancestral connection can be made out based on “other means”. In the Court’s opinion, marriage falls into this category. Failing to see any removal of membership provision of the Indian Act that provides for the removal of people from their Aboriginal rights, the Court concluded that Ms. Lamb must continue to retain her Indian status and the guilty conviction was set aside. Application dismissed for a judicial review and a quashing of the decision to divest Mr. Quewezance as a Senator of the FSIN. The FSIN is not a governmental body and as such its decisions are not subject to judicial review as there is no freestanding right to procedural fairness with respect to decisions taken by voluntary associations. Theodore Quewezance applied for an order to have a decision to be quashed by the Federation of Sovereign Indigenous Nations [FSIN] which had him removed him from the position as a Senator of the FSIN through judicial review. Such jurisdiction depends upon the presence of a legal right, such as a breach of a private law wrong in contract, tort or other valid cause of action, that Mr. Quewezance has made no claim. There cannot be a judicial review of a freestanding right to procedural fairness. Judicial review, in its origin and present conceptualization, is a public law concept under which superior courts engage “in surveillance of lower tribunals” in order to ensure that these tribunals respect or adhere to the rule of law (Knox v Conservative Party of Canada). It is well established that the decisions of Indian Bands are subject to judicial review. However, the FSIN was created or established by its Convention in 1982, which was an agreement entered into among all Indian Bands, except one, within the Province of Saskatchewan. The Court agrees with how the FSIN has been described in Battlefords Tribal Council Inc. v Federation of Saskatchewan Indians Inc.: the FSIN is a political organization with undetermined legal status that is likened to a voluntary unincorporated association of the Chiefs in Saskatchewan. The FSIN represent the interests of First Nations persons in Saskatchewan based upon the principles and procedures outlined in their founding document, The Conventions Act, 1982. By way of analogy, rural municipalities in Saskatchewan are local governments by virtue of The Municipalities Act. However, the organization Saskatchewan Association of Rural Municipalities [SARM], formed by the Rural Municipalities to advance their collective interests, is a voluntary organization and not a governmental body. SARM’s decisions are not subject to judicial review. The Court in Highwood Congregation of Jehovah’s Witnesses (Judicial Committee) v Wall, stated that first, judicial review is limited to public decision makers, which the Judicial Committee of SARM is not, and second, there is no free-standing right to have such decisions reviewed on the basis of procedural fairness. Pleadings relating to Labrador not struck from civil action in Quebec against private companies based on violations of Aboriginal rights and title within Innu territory in both Quebec and Labrador. Neither nature of the allegations nor interprovincial jurisdictional immunity prevents the Quebec Superior Court from hearing entire action. Access to justice and proportionality also favour allowing Innu Nations to set out arguments in full. The Attorney General of Newfoundland and Labrador appealed from the dismissal of an application to strike pleadings. Their application to strike concerned certain paragraphs in an originating application filed by the Innu of Uashat and of Mani-Utenam and the Innu of Matimekush-Lac John. The applicants are two Innu Nations that claim Aboriginal rights and title to a vast traditional territory called the “Nitassinan” that is situated on the Quebec-Labrador Peninsula, including areas within the provincial boundaries of both Quebec and Labrador. The Attorney General sought to strike paragraphs relating to Labrador in this matter before the Quebec Superior Court. In the appellant’s view, the Innu are attempting to obtain recognition of Aboriginal title and rights in Labrador, which the appellant submits are real rights over which the courts of Quebec have no jurisdiction. The Attorney General also claimed that the Innu Nations’ action engages interprovincial immunity in that Quebec’s Superior Court cannot have jurisdiction over the interests of the Newfoundland and Labrador Crown. The Innu Nations are not seeking recognition of their Aboriginal rights and title against the Government of Newfoundland and Labrador or any other Crown government. Instead, they are seeking civil liability and damages against two private companies—the Iron Ore Company of Canada (“IOC”) and the Quebec North Shore and Labrador Railway Company (“QNS&LR”)—in connection with the IOC’s industrial development of iron ore extraction in the Labrador Trough beginning in the 1950s. The Innu Nations claim that IOC and QNS&LR have violated their Aboriginal rights and title within Nitassinan, and also claim Charter violations as well as other forms of civil liability. While Haida Nation v. British Columbia (Minister of Forests) clarified that the duty to consult Aboriginal nations rests solely with the Crown, this does not eliminate the eventual liability of mining companies that obtain rights to extract natural resources on a given territory. Indeed, “[i]f they act negligently in circumstances where they owe Aboriginal peoples a duty of care, or if they breach contracts with Aboriginal peoples or deal with them dishonestly, they [third parties] may be held legally liable.” This is the foundation upon which the Innu Nations have built their action against IOC and QNS&LR. The Court of Appeal agreed with the trial judge’s conclusion that the Innu Nations’ claims are part of a “mixed” action in which both recognition of a real right and the execution of an obligation are sought. This means that aspects of the claim concerning Labrador may be dealt with in Quebec. “Real” actions concern judicial recognition or protection of property rights, whereas “personal” actions seek judicial recognition of obligations, whether contractual or extra-contractual. The Court of Appeal stated that it is not possible to describe Aboriginal rights in terms of traditional property law concepts because they are sui generis. These rights are also collective, rather than individual, which in itself poses classification challenges within the realm of property law. The Innu Nations claim various types of Aboriginal rights have been infringed by IOC and QNS&LR, including Aboriginal title, Aboriginal harvesting rights, and others. These Aboriginal rights cannot be classified as real rights. In any event, they are ancillary to the Innu Nations’ lawsuit, which is focused on civil liability, damages, and injunctive relief against the private company defendants. As for the appellant’s assertion that the Quebec Superior Court does not have jurisdiction because the “property in dispute” is located in Labrador, that must also fail. The Court of Appeal was of the view that interprovincial jurisdictional immunity could not be an obstacle to the jurisdiction of the Quebec courts over this dispute, at least not at this early stage. The Innu Nations admitted that the declarations the Superior Court makes with respect to Aboriginal rights over the Nitassinan will not bind the governments of Canada, Quebec and Newfoundland and Labrador. If the Innu wish to have their broad Aboriginal claims to Labrador recognized, they will have to negotiate with the government of Newfoundland and Labrador or seize the courts of that province in the context of a global claim. However, as discussed above, this is not the objective of their current action. 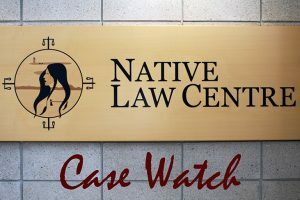 If the appellant wishes, it may participate in the proceedings before the Superior Court in the action brought by the Innu Nations against private companies in order to assert its rights and interests. The appellant suffers no prejudice from the continuation of the action in its current form before the Superior Court of Quebec. The Court of Appeal also stated that the application to strike raised fundamental questions of access to justice and proportionality in relation to an action concerning Aboriginal rights in an interprovincial context. According to the pleadings, the Innu Nations historically pursued their activities across the Nitassinan territory freely and without regard for borders. The trial judge noted that the principles of law which govern Aboriginal rights apply across all of Canada, again without regard to borders. The appellant wished to sever and compartmentalize at an early stage aspects of the Innu’s application that would concern, on one hand, the province of Quebec, and on the other, Labrador. Since the Innu historically ignored the border, the trial judge found it doubtful that the evidence and traditional customs addressed by Elder witnesses would draw a distinction between what occurs in Newfoundland and Labrador as opposed to Quebec. The Court of Appeal agreed that it would not be in the interests of justice to prematurely sever from the Innu Nations’ action any references to Labrador, to the rights the Innu may claim over this territory, or to the activities of the IOC and the QNS&LR. The Innu Nations should be able to set out their arguments, not piecemeal but in full, before the court that has jurisdiction over their action against IOC and the QNS&LR. Note: On November 15, 2018, the Supreme Court of Canada granted the Attorney General’s application for leave to appeal. Application for severance of a trial concerning declarations of Aboriginal title and general Aboriginal rights, is granted on the terms sought by the Plaintiffs, with the exception that matters related to rights will only be decided in respect of the Representative Interests. This is a case management application for an order severing the trial of an action into two parts, Phase 1 and Phase 2. The Court is satisfied that the Plaintiffs have demonstrated that there is a real likelihood that an order severing this trial into two parts will result in saving considerable time and expense. In the action, the Plaintiffs seek a declaration of Aboriginal title and Aboriginal rights to the terrestrial portions of Haida Gwaii. What is defined as the “Claim Area”, includes its inland waters, to the waters and submerged lands within the surrounding territorial sea (12 nautical miles from the coastal baseline) and to all living creatures such as fish and birds during times that they are present. The Plaintiffs claim general Aboriginal rights, including the right to harvest, manage and trade fish, marine resources and trees within the Claim Area. The Plaintiffs’ claim that the Defendants have infringed their asserted Aboriginal title and general Aboriginal rights by issuing tenures, permits and licences, conveying land and passing laws in relation to Haida Gwaii that do not accommodate the Plaintiffs’ interests. The principle form of infringements for which compensation is sought from the Defendants are related to forestry, fisheries and land alienations. The Plaintiffs seek compensation for these infringements, or for unlawful interference with their asserted Aboriginal title, rights, and an accounting of all benefits collected in connection with Haida Gwaii. However, the Plaintiffs confirmed that they are not seeking to quash tenures, permits or licences or conveyances of land or to eject fee simple owners. They are only seeking compensation for relevant losses. With respect to various procedural matters during and after trial, the Plaintiffs submit that a) following the completion of Phase 1 of the trial, the Court’s determination of the issues addressed in that phase will be the final determination of those issues; b) the parties may appeal the decision in Phase 1 before the commencement of Phase 2, but Phase 2 may proceed pending such appeals with the consent of the parties; c) that subject to availability, the same Justice will be seized of both phases of the trial which will be a single trial; and d) evidence heard in the Phase 1 of trial shall be deemed to be evidence in Phase 2 of the trial. The key issue in dispute was whether Phase 1 of the trial should include a determination of broader Aboriginal rights, beyond those pertaining to the Representative Interests. The Court decided that matters related to general Aboriginal rights will only be decided in respect of the Representative Interests. Both Canada and British Columbia dispute that the plaintiffs have Aboriginal title to all of the Claim Area and both agree that the Plaintiffs’ claims with respect to Aboriginal title over private lands and submerged lands are novel. No such claims were dealt with in Tsilhqot’in Nation v. British Columbia. The Court reasoned that, without severance, evidence concerning a defence of justification for infringement to Aboriginal title would have to be adduced for the entire Claim area. With severance, once title is determined in Phase 1, the Court will only have to concern itself in Phase 2 with infringements to areas where title has been declared. Previous comprehensive title cases have not resulted in compensatory awards. The intention of the parties is that in Phase 1 the question of whether pecuniary damages are payable in respect of the Representative Interests, and from when, are what is to be judicially determined. The expectation is that such a determination will assist in either the settlement of damages claims for other claimed interests or by establishing a framework for evaluating such claims, which can be utilized in Phase 2. The Court agrees with the submissions of the Plaintiffs that the establishment of a template for determining compensation may considerably reduce the range of expert financial computations and evidence required to compute damages valuations and other remedies as the parties intend to engage in negotiations after Phase 1. None of the parties suggest that resolving any of the issues in Phase 1 will, in and of itself, eliminate the requirement for Phase 2. However, the Court is satisfied that an order severing this trial into two parts will facilitate settlement discussions between the parties and may therefore result in an end to the action. The unique cultural context and circumstances of Nunavut amount to a third category of exceptional circumstances with respect to the application of R v Jordan and its presumptive ceilings for trial delay. This case involved two allegations of indictable historic sexual assault alleged to have happened in Sanikiluaq between May 2, 1977 and May 2, 1978. The accused, Lukasie Anugaa, was charged on July 8, 2013. Mr. Anugaa elected to be tried by a judge and jury. However, it turned into a case about pre-trial delay, in which five different jury trial dates were scheduled. Mr. Anugaa’s fifth and latest trial was scheduled to start on January 15, 2018. Over 54 months passed between the day Mr. Anugaa was charged and the anticipated end of his trial. Mr. Anugaa made a pre-trial application to the Court based on section 11(b) of the Canadian Charter of Rights and Freedoms and the Supreme Court of Canada decision’s in R v Jordan, arguing that his right to a trial within a reasonable time had been violated. Mr. Anugaa sought a stay of proceedings on this basis, which would have brought the case to an end. The Crown opposed the stay. The Nunavut Court of Justice decided that the delay in the circumstances of this case had been reasonable. In 2016, the Supreme Court revisited its previous interpretation of section 11(b) of the Charter in Jordan. The Supreme Court set out presumptive ceilings in terms of the amount of time that would generally amount to an unreasonable delay between the issuance of charges and a criminal trial. The Supreme Court also discussed exceptional circumstances to the strict application of these presumptive ceilings. Two examples of exceptional circumstances listed in Jordan are “discrete events” and cases that are “particularly complex”. The delay caused by “discrete events” can be deducted from the remaining net delay. Where the case is particularly complex, no deductions are needed and the Court will instead consider if the complexity justifies the time spent on the case. Central to the Nunavut Court of Justice’s analysis was the statement in Jordan that the list of exceptional circumstances is not closed. There are exceptional circumstances that surround access to justice in Nunavut as it sprawls over Canada’s vast northern landmass. Just to name a few, 38,000 people live in 25 remote communities scattered over Nunavut’s 2,093,190 square kilometres. There is only one courthouse, the Nunavut Court of Justice, located in Iqaluit. Outside Iqaluit, the Court travels regularly to each one of the other 24 far flung communities and the distances between them are immense. The circuit sits in school gyms, community halls and even council chambers. Many of the community halls lack functioning washrooms and heating systems fail leaving court participants to conduct court in their winter parkas and mittens. The harsh arctic climate is unforgiving, therefore flights are delayed or cancelled as blizzards are a regular occurrence. The cancellation of a court circuit has an impact out of proportion to a similar cancellation in the south as it means the possibility of no court in the community for an entire year, unless a jury trial has been scheduled. Jordan does not account for the impact of Nunavut’s tremendous infrastructure deficit, as the taxpayer money available to the Government of Nunavut is woefully inadequate. This level of service will continue despite the new Jordan rules. In the Court’s view, Jordan is also problematic as it does not consider the unique cultural context in Nunavut. There is central importance of Inuit Qaujimajatuqangit. Nunavut’s communities are small and very closely knit. The Court stands down for burials and funerals and sentencing hearings are delayed in order to permit offenders to participate in seasonal hunts. The Court avoids scheduling jury trials during the extremely short arctic summers because it is a time when many Nunavummiut return to the land. This seasonal reality cannot be overstated and will continue in the future. Jordan only enumerates two subcategories which permit delay: exceptional discrete circumstances and exceptional case complexity. In Mr. Anugaa’s case, the Court felt that the above was not enough to be described as “discrete events” as contemplated by Jordan. Rather, the way these events were dealt with reflected the very ethos of the approach of the delivery of justice in Nunavut. To apply Jordan justly in Nunavut, the Court held that there must be a third subcategory of exceptional circumstances which reflects the territory’s unique cultural context. The Court took the position that Jordan did not account for the need to respect and incorporate Inuit culture and experiences into the delivery of justice to Nunavummiut. The delivery of justice in Nunavut poses unique and unavoidable challenges in circumstances found nowhere else in Canada. Therefore, Mr. Anugaa’s application for a stay was rejected and the case was ordered to proceed to trial. The parties were also at odds over where another trial should be held if the stay was not granted. The Crown brought an application to move the jury trial to a different community. It was argued that every eligible adult in Sanikiluaq had already likely been summonsed at least once to serve on the jury and fair trial interests required a change in venue, due to Mr. Anugaa being notorious in the community. The Court accepted that it was necessary to hold the trial in a different community in the unique circumstances of the case, as Mr. Anugaa is entitled to a jury of his peers but not entitled to a jury of his neighbours.